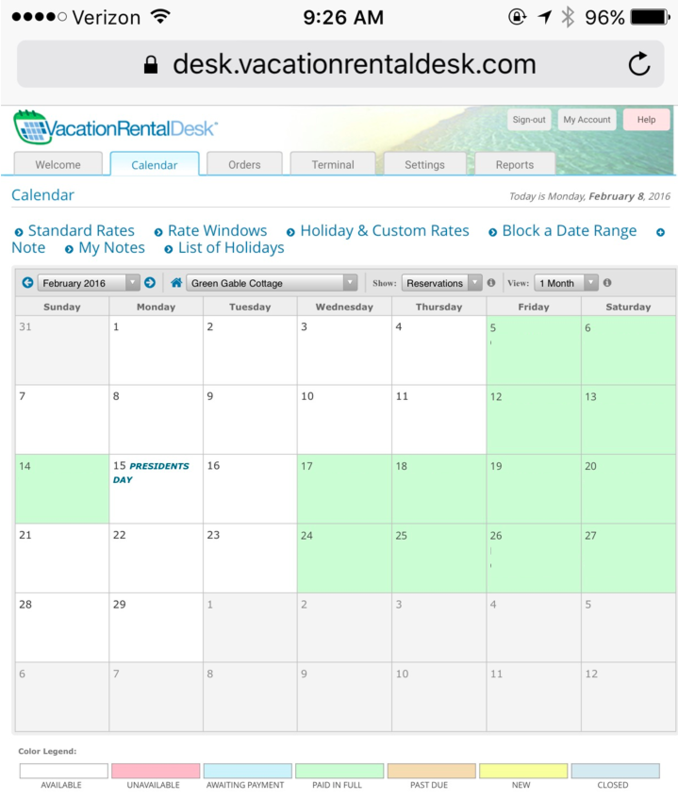 Vacation Rental Desk's website builder software is jam-packed with features to promote success in your business. Our next generation websites give you the ability to engage with guests by blogging about your rental on your website. 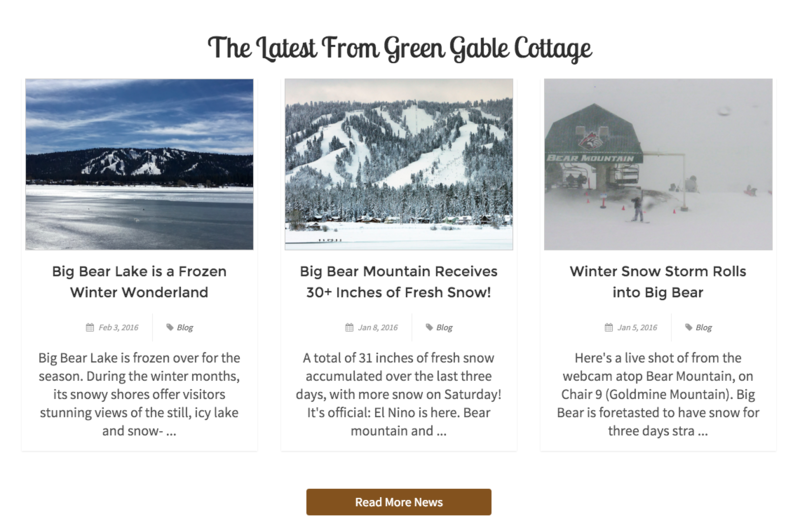 John and Maureen Rood, Vacation Rental Desk clients who own Green Gable Cottage in Big Bear, CA, hoped to connect with their prospective guests by writing a series of blog posts about the snowfall in Big Bear that season. The winter months in town draw many guests looking for a good weekend on the slopes, and this year's storms have made for exceptional skiing conditions. Knowing what their guests would want to read about allowed John and Maureen to quickly target what they should share on their blog. For many vacation rental owners, knowing what to share is as simple as knowing your rental. What would your guests like to do during their stay? What draws guests to your town at a particular time of the year? Just by keeping up with the news, John and Maureen knew that Big Bear was experiencing a pretty spectacular snowfall. In one blog post, they attach a screenshot of the live cam atop a local ski resort alongside a few sentences about the storm and a snow report. In another post, they share a photo of the ski runs with a local news report of 30 inches of fresh snow for that day. All in all, the brief posts they created required little to no effort on their part, while the impact for their winter sport-loving guests was maximized. Before they started blogging about the snow at their rental in January, John and Maureen had zero reservations for the month of February. Soon after though, the response was incredible. Every weekend in February was booked! Take some time to explore the blogging feature on your website and consider sharing a different side of your rental experience with your guests. The results could surprise you!